Jacqueline TROPIN offers advisory and litigation services relating to business law for international, European or national companies in the commercial, industrial and service sectors and also in the insurance sector. She is responsible for drafting commercial contracts (leases, marketing and distribution, logistics and e-commerce), legal audits (insurance products, logistical organisation) and commercial litigation cases (breach of contract, commercial leases, insurance, and transport). She also deals with labour law questions related to this economic sector. 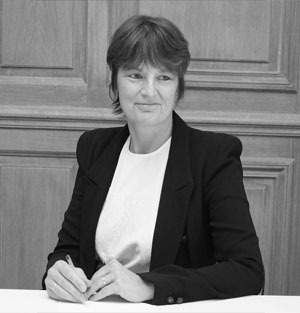 Jacqueline Tropin teaches logistics and transport contracts law in Master's programs (Universities of Paris and Rennes), at two High Schools of Transport in Paris (E.S.T and ISTELI), and for professional training organizations (LAMY FORMATION and AFTRAL). She is also a professional conference moderator in Logistics and Transport conferences. Jacqueline Tropin wrote in 2009 the first Guide to "model transport contracts" in "Jurisclasseur" published by LEXIS NEXIS Editions) updated in 2018, and numerous articles in transport and supply chain professional magazines.